Single Medicine Therapy is a medical practice that uses only a ‘single ingredient’ most of the time, or the treatment is given when there are no other medicines that need to be taken along with it. This is more like ‘folk-cure’ medical practice, but is generally based on principles of Ayurveda. Referred to as ‘Ottamooli’ in Kerala, India, this ‘Single Medicine Therapy’ is based on easily available substances and usually involves just one or two ingredients. Such medicines are used for complete cure and are considered very effective. The biggest advantage of this medication is that it has no side effects. Single Medicine Therapy involves the concept of using one herb for the purpose of treatment of diseases, or as health supplement, and majority of herbal systems, apart from Ayurveda are following this approach of single drug therapy as primary method of treatment. 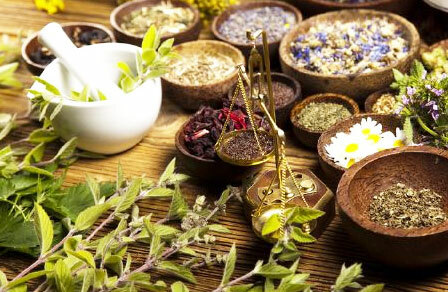 In today’s world, single herbs are widely used by doctors and patients as health supplement. When you look back at ancient methods of treatment in Ayurveda, including in ‘Charak Samhita’, you can find that physicians were dealing in disease management using single drug. Here these single drugs were used both as usual spices and for the purpose of medicine. Among various herbs that are generally used as single drug medicines are ginger, Indian gooseberry (Amla), Haritaki, and drugs made from categories like cereals, grains, spices, oils, honey and more. Some of the herbs and drugs specifically prescribed as a single drug are Madanphal, Rasana, Pipplimula, Musta, Chitraka, Bala, Trivrita, Shrish, etc. Although in the course of time, Ayurvedic pharmacies developed from single drug use to multiple combinations, the single drug therapy is still used in certain cases. In ancient days, the single drugs were processed in several ways to boost their efficacy. The medicines were administered in the form of paste and extract of the herbs or parts of herb were used. Thereafter, the herbs began to be administered in the form of decoctions of all types (hot infusions or cold). Then followed medicines, which were based on decoctions administered and then the combination medicines came up. Therefore, the single drug concept, which is used in complementary treatment of various diseases, actually has its origin from Ayurveda, and continues to be used till today. There are various products used as complementary medicines and they contain single drugs in powdered, condensed or extract form. Some extracts of Mulehati, Ashwagandha, clove oil and more, are some examples of single drug therapy that are used even today. Listed here are some of the ‘Single Medicine Therapy’ practices for some common ailments. These can easily be prepared and administered without the need of experts, and does not usually have any side effects. However, pregnant women and heart patients are advised not to take any of the medications without consulting physician. Fever: A decoction which contains a blend of garlic, pepper, dry ginger and Tulsi (basil leaves) can be consumed three to four times a day for relief from mild to moderate fever. Add powdered pepper and dry ginger to fresh, warm ginger juice. This can be consumed twice a day. Throat pain: Crystallized sugar, dry ginger and cumin seeds can be powdered and mixed in equal proportions. Sip on this mix during the day for effect relief from throat pain. Mix a teaspoon each of powdered ginger and honey in half a cup of hot water, and add lemon juice. This soothes the throat, and has antibacterial properties too. Stomach pain: Dry roast and powder fenugreek seeds. Mix a teaspoon of this powder in warm water and drink every two hours for relief from stomach pain. Eye boil: Licorice extract or Haritaki can be mixed in honey and applied for an effective relief. Common cold: Boil water by adding pepper, dry ginger, few leaves of the medicinal herb Plectranthus amboinicus (popularly known as panikoorka), and few Tulsi (basil) leaves. Make a decoction of this and squeeze in few drops of lime juice. Drink this four times a day for effective and quick relief from cold. Gastric problems: Ginger tea is an excellent remedy for indigestion and gastric problems. Drinking warm, milk to which crushed garlic pods are added can be an immediate cure for gastric related troubles. Fill your mouth with water and close your nose with your fingers for some time. Grind pepper and add it to lemon juice and consume. Dry ginger and honey mix can also be an effective cure. Mouth ulcer: Triphalachurnam (Triphala powder) can be mixed with honey and applied on the affected part. Gargle buttermilk to which some curry leaves are added. Cough: Mix together ground pepper, honey and ghee can consume regularly for effective relief. Mix Giloy (adalodakam) with powdered jaggery and pepper and make a decoction out of it. Drink regularly.